If everything ends the way it is supposed to, on July 13, Brazil will be lifting the World Cup trophy at the Marcana. A host country has not won the World Cup since France did so in 1998, and it is due to happen again. No European country has won a World Cup hosted in North or South America. Brazil are five time champions and adding a sixth would signal the arrival of their new “Golden Generation” following their triumph last summer in the Confederation’s Cup. With home crowds and the entire country cheering them on, they will enjoy one of the greatest home field advantages in the tournament’s history. Pressure. 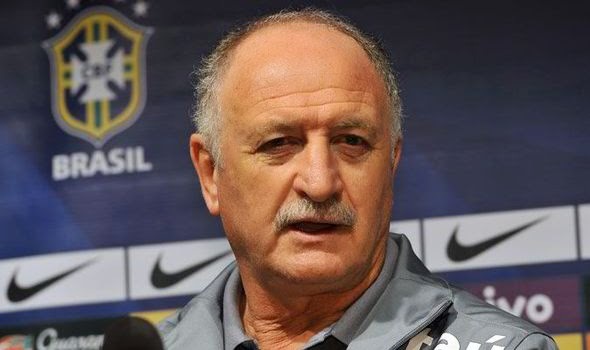 There will be an immense burden on the shoulders of the Brazilian players and manager Luiz Felipe Scolari. Some pundits are suggesting that home crowds will be uneasy if Brazil don’t score in the opening minutes of every match. Will their fans be happy with a squad that grinds out the results required to progress or will they demand the attacking flair and beauty that their country is traditionally known for? The club also has a noticeable lack of depth at the striker position, with only domestics Fred and Jo featuring for the squad. Neymar: No player has attracted as much attention heading into the tournament as Neymar. He is the all action man for Brazil and will feature on their left wing. Blessed with breathtaking speed and technical brilliance, Neymar is capable of producing spectacular goals and providing equally brilliant assists. After what many considered to be a disappointing first season with Barcelona, Neymar is eager to show the world that he is capable of living up to all his hype. Hulk: Fresh off a successful club season with Zenit St. Petersburg, where Hulk captured the competition’s MVP award and fell just one goal short of the competition’s top scorer with 17. Hulk will likely feature on the right side of the Brazilian formation, away from the traditional striker position which he can also play. Hulk enjoys cutting in from the right side and firing laser shots on goal with his left foot. With a game to live up to his superhero moniker, Hulk will make a lot of heads turn in Brazil. Thiago Silva: Widely considered to be the best central defender in the world, there is no player that more aptly fits the label of complete defender. As captain of the Selecao, he will shoulder the weight of an entire nation as he leads a defense that is capable of contributing on both ends of the field. Fresh off a Ligue 1 title with PSG, Silva should be in good shape after getting lots of rest going into the tournament. Silva’s biggest challenge may be developing defensive cohesion among maverick defenders Dani Alves, Marcelo, and David Luis. Brazil should easily win Group A outright and I would be very surprised to see them eliminated before the semi-final. They are my pick to win it all.